With winter taking its frosty hold over Wroclaw, one particular street style that has maintained an element of appeal is the classic fur coat. While these coats are warm and stylish for some, others in Wroclaw look upon them and the fur trade less favourably. Fur has a complex history and carries a certain symbology. When you see fur, where does your mind wander? For me its Soviet Era Government officials and their wives. Perhaps it reminds you of the american gangster movies set in the 80’s. Meanwhile In times gone by, some perceieve fur as being a symbol of class disparities and a luxury for the super-rich. In today's world the actions of the animal rights movement have slowed the fur trade and cast a shadow on its popular image. In spite of all this however, there are still those donning fur coats as they walk down Wroclaw’s icy winter streets. Perhaps this comes down to the fact that fur jackets are extremely expensive yet exceedingly durable, so people finding it difficult parting with them. We also cannot discount the traditional appeal of these garments. As recently as three years ago, over 750 fur farms were in operation in Poland, and the number allegedly increases by over a dozen each year. 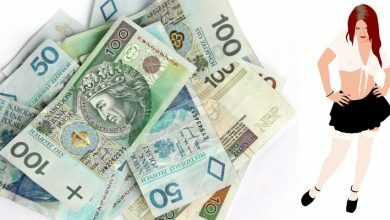 According to Szczepan Wojcik, deputy chairman of the Polish Association of Breeders and Producers of Animal Fur, the estimated value of the industry is about 5 million zloty (1.18 million euros). He does of course stress the fact that this money “is invested in the Polish countryside”. Poland produces roughly 10 million mink furs per year, and in 2014 alone churned out 250,000 fox furs and 50,000 raccoon dog furs. On the other hand, supporters of animal rights and protests about fur farms often make the headlines. The city’s animal welfare scene is also blossoming, with the new vegan shops and restaurants popping up like never before. The anti-fur movement has also grown in Poland since the collapse of communism. People’s concerns for animal rights have grown and the popularity of fur, despite the high-looking figures above, has dwindled. 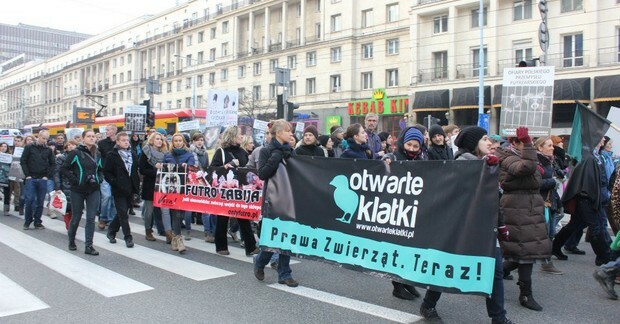 Here in Poland, one of activist groups concerned for the welfare of animals at fur farms is Otwarte Klatki. The organisation aims to prevent animal suffering by introducing systemic social change. They have already looked into five Polish fur farms that house foxes and racoons. They claim to have found many clear violations of basic welfare regulations, such as farmers who were apparently denied veterinary care for their ill animals. It also reported that dead animals were left under cages to rot. The even even claim to have seen evidence of cannibalism among the fox cubs at these farms. Could you sum-up Otwarte Klatkli's position on fur trading and fur fashion in Poland? We’ve been campaigning and lobbying for a fur farming ban in Poland for 4-5 years now. But we also encourage clothing and fashion companies to go fur free. Our biggest success was definitely when LPP (the owners of Cropp, Mohito, Reserved…) decided to join the Fur Free Retailer program in 2016. 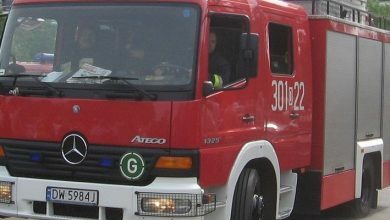 You can read more about this program on our website (http://www.otwarteklatki.pl/skl). Since Poland is 3rd biggest fur-producer in the world, this is a very hard campaign: there are over 700 fur farms in Poland. 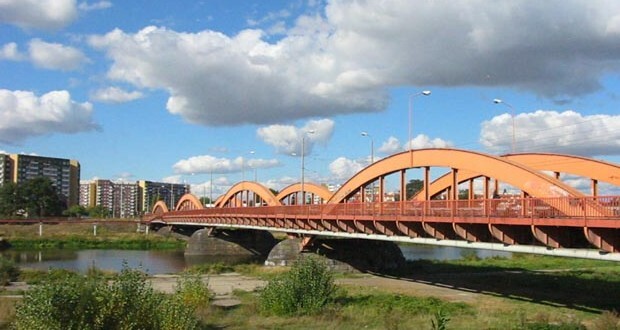 There is also one fox farm in Wrocław not that far from Marino shopping center. Are you able to reach anyone in government to help support your campaign? In November a petition signed by 120,000 people was presented to the Parliament and in a couple of months it will be discussed at a Petition Committee meeting. Our proposal has supporters across all the parties, but there are also friends of the fur industry in all the political parties as well. It is a slow political movement but we believe that we’re going in the right direction, step by step. In terms of consumers what do you think can and should be done to persuade them to avoid wearing fur? We present photos and videos from Polish fur farms to explain exactly how these garments are. But we also encourage consumers to be careful when shopping: it is often the case that fur items are not labeled as animal fur, which can be really misleading. How would you describe Otwarte Klatki target audience and supporters? Are they multi-generational or mostly younger people? It depends on the specific activities and campaigns we’re doing. I think we get our message out to mostly younger people but we always try to find ways to approach different people, especially those with different mindsets. What ideas have you got for future events, are there any events planned in Wroclaw? If you could say something to readers who are interested in wearing fur, what would you say? Take a look at photo of a fox cub and think again if you want to kill it and skin it. Or better yet, come to Poznan zoo to meet Cyryl and Ferdynand: two foxes rescued from fur farms. They were supposed to be killed for fur but now live happy lives in the zoo. Come and explain to them that you need animals to suffer so you can wear fur. So with fur comes responsibility. For anyone thinking about buying a fur item this winter, I would urge they consider fake fur, which shares all the benefits of the real thing and you can wear it guilt free, even at the zoo. 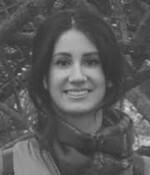 Cansu Girgin grew up in İstanbul before studying in the Journalism and Social Communication programme at the University of Wroclaw. Cansu loves the Wroclaw's green parks and peaceful atmosphere here after coming from a big and crowded city. Outside her studies, she enjoys painting, taking photos and reading a book in the local park.